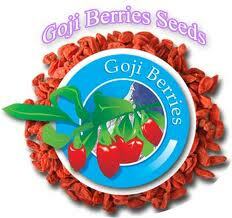 The goji seeds grow in withering draought condition but are unsuitable for tropical climate. Himalayan goji treat are greatly in demand all over the world. Goji (Lycium Barbarum) is basically an Asian (from Tibet and Mongolia) plant with the purple-blue colored flowers and attractive red mildly sweet fruits that grows about 8 feet to 10 feet tall in the Himalayan region. The seed from which it germane is black in color and almost similar to those of the tomato. These goji seed have an overwhelmingly outstanding demand all over the world, mainly due to its high degree of nutritional value and health benefits. The goji seed though small but are sturdy. This sturdiness helps them to withstand the withering drought periods. They grow fast and easily in almost any kind of soil, although the nutritional quality may vary distinctively with the variation in the soil chemistry. Taking special care would ensure that the soil condition is best suited so as to allow the healthy growth of a goji seed to a healthy plant in order to bear the fruits of full nutritional value. An experienced gardener is not needed for goji cultivation. The only salient things that are really needed are certain basic gardening know-how, eagerness to garden and the will to nurture the plants and the seedlings. Care should be taken that the goji seeds purchased should be of the Himalayan origin for best quality. A tropical climate and terrain is unsuitable for a healthy goji plant, so it should be avoided if the climate is unfavorable.